I'm excited to be helping another blog friend and fellow military wife out with her giveaway today. Warning: If you are a man reading this post you might want to just skip it, or if you are married enter the giveaway and surprise your wife if you win!!! When you hear the word "cloth" you probably think "diapers", right? But... it's not just for babies! 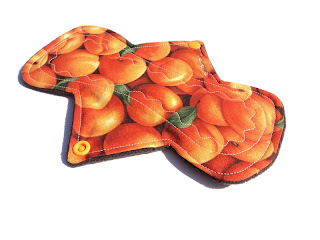 Commonly referred to as "Mama Cloth" these aren't just for moms either!!! With my family now on a major budget crunch, I'm looking for all sorts of ways to save money. One monthly expense you may not even think about much is feminine hygiene products. Yea yea yea, I know... not my favorite topic either, but it's a reality for most of us. I assume I'm not the only one out there who finds most all commercial options uncomfortable and expensive (even the cheap ones add up over time!). I'm no environmentalist (although I don't want to kill the planet either)... I was just tired of spending good money on chemical-laden products. 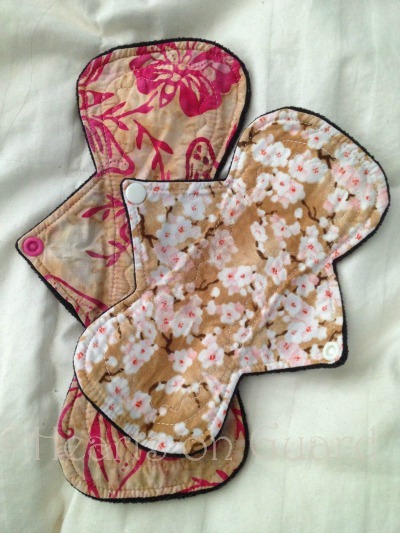 It can be overwhelming when you initially look into cloth pads. There are large companies (that charge a lot) as well as a ton of Etsy vendors. Based on friends' recommendations, I chose to go with Lisa from Yurtcraft. Lisa is an amazing woman to work with! She is a former military spouse - husband is retired Air Force - and she is just the sweetest lady. If you have any questions about making the switch to cloth, she is happy to answer them! Her policies page here has a lot of information, but she was both gracious and timely in answering additional questions I had. 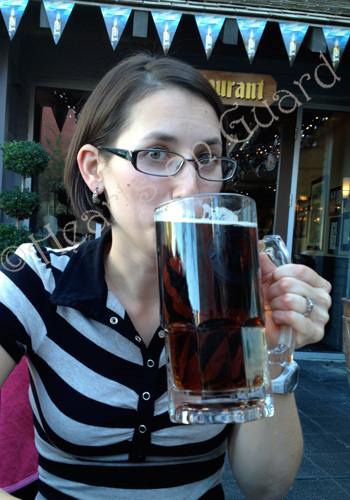 After speaking with her, I chose to order a variety of sizes so I could see what worked best for me. I purchased an 8" liner, 8", 9.25" and 10.5" regular pads in the fabric of my choice. The grand total was around $32 after shipping, and payment was a breeze through Etsy. I was so excited when they arrived! Her craftsmanship is impeccable. The fabric was just as it had appeared in her gallery, and the package showed the care and love she puts into her work. How do they feel? Oh my goodness, they are amazingly comfortable!!!! There's no feeling icky. There's no irritation from chemicals. There's no gross plastic-y, paper-y feel. It feels like just wearing clothes. And who doesn't love that? But what about cleaning? That may be the best part! You can rinse and soak if you wish, or just throw in your hamper with your regular laundry. Unlike cloth diapers, there's no crazy laundry routine or special detergents needed. Wash on warm and dry on low-heat to keep the waterproof fleece backing going strong, and you're good to go! Plus her fabrics are all pre-washed in hot water so shrinking is no issue. Don't they feel like a diaper? Don't they leak? No and no! The beauty is in the fabrics and the design!!! The core: hemp, organic cotton and bamboo (which is super absorbent and anti-bacterial). With "wings" and a secure plastic snap, these are beyond easy to use. They are slim and soft, and feel a million times better than paper products. I also love the variety of fabrics she offers to her customers as well. There is seriously something for everyone! You can choose one fabric, or mix and match like I did. Like I said, I made this switch primarily for my budget and my comfort. The additional environmental and health benefits (i.e. no icky chemicals in or on my body) are simply a plus. Now it's your chance to try them out! 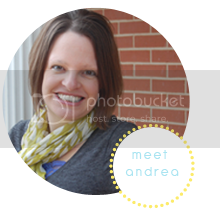 I have joined up with two of my good bloggy friends (Chantal from Scattered Seashells and Andrea from A Modern Hippie) to help me get the word out about Lisa's amazing work. The lucky winner of our giveaway will get a custom 8" regular pad in the fabric of her choosing!!! You can view her available fabrics in her gallery here. April blogs over at Hearts On Guard about faith, family and life as an Army National Guard wife. She's no hippie, but does enjoy some crunchier, natural living practices such as FAM, essential oils, home birth, and baby-led weaning. She is excited to be delving more into homemade alternatives to commercial products to help her family save money -- from making laundry detergent to beer. I would choose save the world peace. I love the Suzi-Q - Springtime Retro Blossoms - Blue - 100% ORGANIC COTTON!